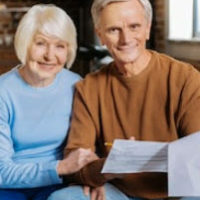 Among the worst side effect of the many conditions that can qualify you for Social Security benefits is simply the pain that may accompany you in your everyday life. In some cases, you can obtain disability benefits for your pain as it relates to how it restricts your everyday life. There are many listings in the Social Security laws that are directly related to pain. If you are diagnosed with a condition or injury that is in the listings, and you meet the other requirements of the listing, you may qualify for disability. Conditions related to pain that are in a listing include inflammatory bowel disease, reflex sympathetic dystrophy and arthritis. Most listings also have a requirement that your condition restrict the activities of your daily living. The pain that may accompany your disease or condition can help you meet these requirements. For example, there are listings that include herniated discs and other back ailments. However, simply being diagnosed with these ailments may not be enough in the absence of evidence of neurological deficits, motor disruption, and restricted range of motion. Thus, even though pain itself is not a listing, showing you have chronic daily and restrictive pain is an important factor in securing disability. If you do not meet a listing, you can still be adjudicated disabled by showing restrictions in your physical ability to do things–called residual functional capacity (RFC). This is a measurement of how long you can do things like stand or walk, and how much you can lift on a daily basis. Although pain itself is not enough for disability, if you have pain after you stand for a few minutes, that can reduce your RFC, and thus make it more likely that you are disabled. The key here is that the pain must stem from or be the result of an actual diagnosis. You cannot simply say that pain prevents you from sitting for more than 20 minutes at a time. You would have to demonstrate that your pain is a result of a disease, injury, or diagnosed ailment that could reasonably be expected to cause someone pain. Like any ailment or symptom, your pain or the condition causing it, must be expected to last longer than 12 months. And, although you are expected to take measures to alleviate your pain–for example, by taking available pain medicine–Social Security must take into account any side effects of pain relieving medicines. Of course, pain is subjective, and can’t be seen on a scan or an X-ray. That’s why it’s important to get medical treatment when you need it, to disclose all of your pain and its severity to your doctors, and to make sure that your doctors take note of your pain levels, something many doctors do not properly document in medical records. Are you considering filing for Social Security disability? Contact us at the Celeste Law Firm in West Palm Beach today for answers to your questions about your Social Security disability case.